Take a moment to think about just how amazing the human mind is. It can store every bit of information required to speak multiple languages; listen, interpret, and create music; throw or catch a baseball; and much more. But then there are times that your brain has you forget your car keys in the refrigerator. While the brain can store a nearly unlimited amount of information, there are a lot of problems that seem to happen when it comes to recalling that information . Imagine, for a moment, that you have a presentation at work tomorrow and you saved it on a flash drive. Your boss and his boss will both be at the presentation, so it’s imperative that you remember to bring the file with you. Without it you will probably be fired; it’s that big of a deal. So how do you make sure you remember to bring the file? Most people simply make a mental note of it – they remind themselves to get the file before they head to work in the morning. They might get a little reminder while they are watching their favorite TV show “don’t forget the presentation”. It could happen in the middle of the night, waking them up suddenly “don’t forget the presentation”. But then when morning rolls around, things change. Trying to eat breakfast, get dressed, help your kids find their backpack and finish up the last of their homework, and everything else that happens during your morning routine throws a wrench in everything. You barely had time to put your shoes on before heading out the door. The problem is, your mental reminder didn’t go off. You didn’t realize you forgot the presentation until you pulled up into the office parking lot. The problem is, the human mind is great at remembering things but isn’t great at remembering them when they need to be remembered. What happens when you don’t have just one presentation to remember, but you are trying to remember multiple things at once? What happens if you are trying to juggle 15 things during the day that you simply can’t afford to forget? There’s a good chance that is the exact situation you’re dealing with right now. Use external systems that your mind trusts. Now instead of placing your USB flash drive on the computer desk, what would have happened if you went to the car that night and put it down in the driver’s seat? There’s no way you could have forgotten it then, and you wouldn’t have been waking up in the middle of the night stressing. That’s because you used an external system to relax your mind. With the Getting Things Done, using trustworthy external reminders is exactly how anyone can start to remember everything they need to do throughout the day and become more productive. The key word here, is trust. If your brain doesn’t trust the external source you’re using to help remember, you are going to be just as stressed as (if not more than) before. If you run out of salt, for example, writing “salt” on your grocery list is something your brain trusts. You always bring the grocery list with you. If you are trying to remember to visit the dentist, and you write it down in your planner that you rarely read, your brain will not trust that external source. In that situation you will be trying to remember “don’t forget to go to the dentist” and “don’t forget to check your planner”. 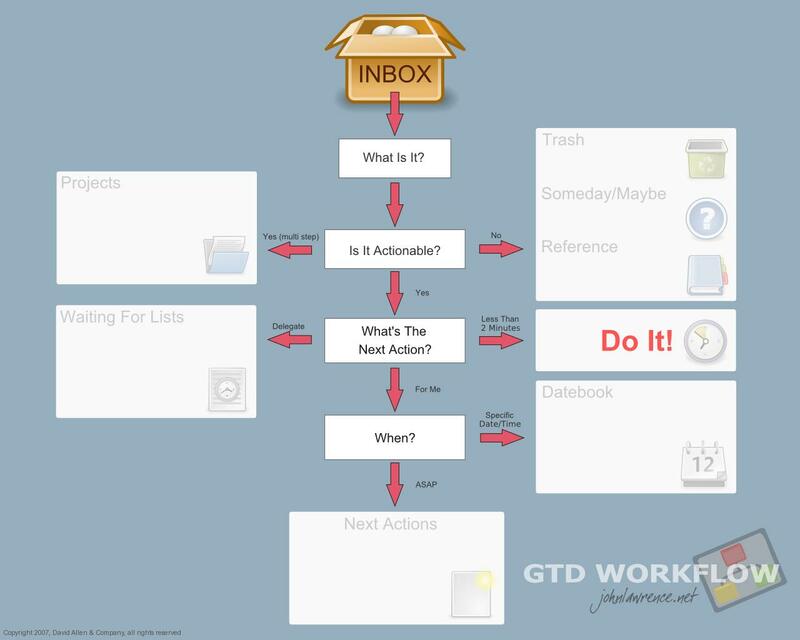 The GTD system allows you to use precise, trusted external sources to make sure you remember everything you need to during the day. It does this regardless if it’s 5 things or 50 so that they aren’t constantly bouncing around your mind, keeping you stressed. I hope that you have enjoyed reading this series of articles on Getting Things Done. If you have missed any of the articles in this series, you can find them here. Question: When have you forgot something that you absolutely had to remember? What have you done to make sure it doesn’t happen again? Comment here. Once you do that, sign up for our mailing list to learn more about the Getting Things Done, and receive our next post on the importance of context. Thanks Harriet. Stay tuned for more on Getting Things Done.